If your friends have already been in Mykonos they’ve surely told you what to see once you get there. See the windmills and the beaches; see Little Venice and the famous nightclubs; see the fishermen knitting their nets under the sun or Peter the Pelican proudly strolling down the quay. But if you really want to enjoy Mykonos, then you have to see its SEA-fun side, as this beautiful, shining Cycladic gem of the Aegean is like a huge Water Park! Almost every one of its more than 25 organized beaches has its own water sport center, fully equipped to cover a wide range of activities. One of the most popular one is windsurfing. Mykonos is a top destination even for surfing pros as it is also known as the island of the winds, The famous “meltemi”, a strong north wind born in the Turkish mainland and traveling all the way down to Africa usually peaks during August, giving the sport’s lovers the chance to dance around the waves. It’s a totally different experience than this of the ocean’s waves but still very challenging. An alternative to windsurfing is wakesurfing, a very exciting sport where you trail behind a speed boat riding its wake and then ride the waves like a dolphin jumping in and out the foaming surface of the sea! 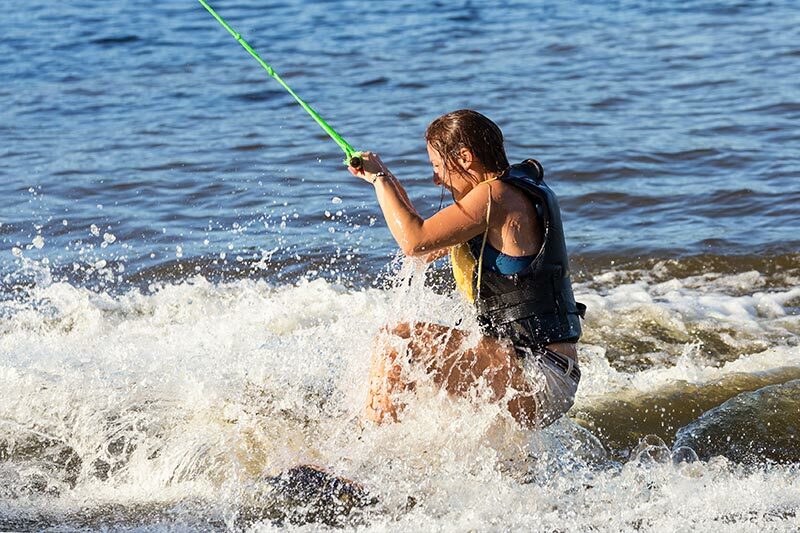 It is very similar to wakeboarding which is a combination of water skiing, snowboarding and surfing techniques. Talking about water skiing, it is the one and only aqua sport that you will most probably not enjoy much in Mykonos as it requires mirror-surface seas; and this is not the case in this area of the Aegean. 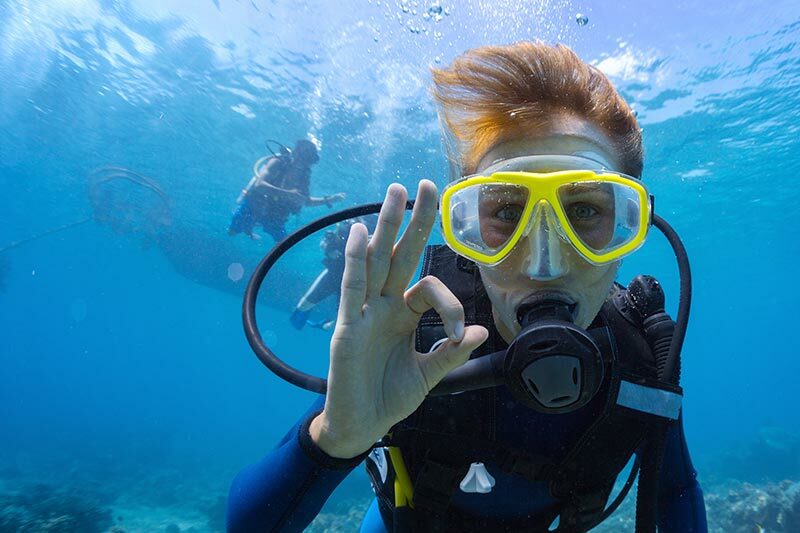 Another breathtaking adventure practiced in almost all organized beaches is scuba– or wreck diving. Discovering the wonders of the underwater world can be a lifetime experience. On the other hand, if you are not a real fan of the dark blue deeps, try snorkeling; a much lighter but almost equally magical experience. 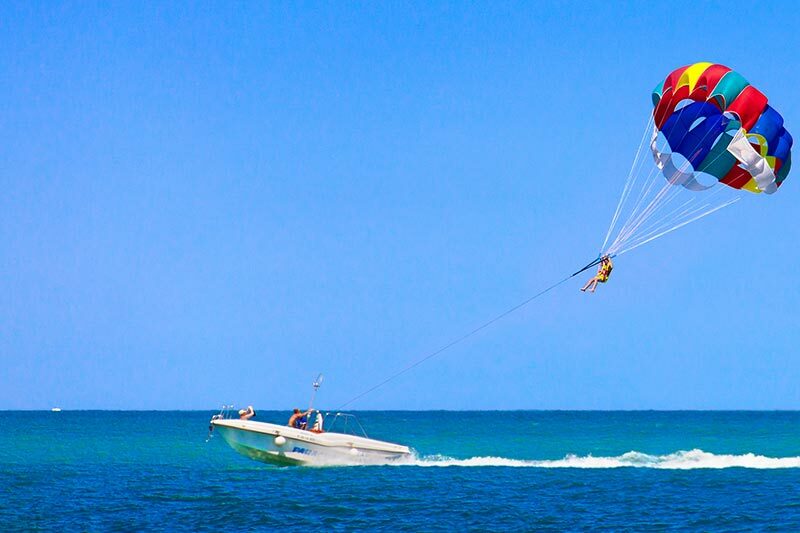 However, if you wish to take a walk on the more extreme side of water activities you can try parasailing and find yourself attached to a specially designed parachute towed behind a boat for an unforgettable fun ride; or go kiteboarding where you will be asked to harness the power of the wind with a large power kite. Another way to fly over the waves is by hydro-flying which involves a board connected to a watercraft. Water is forced under pressure to a pair of boots with jet nozzles underneath which provide thrust for the rider to fly up to 15m in the air! And, to end an adrenaline-loaded day on the beach, don’t miss a sofa, donut, rings or tube ride, enjoying the amazing Mykonos kind of living! Useful note: no matter what activity you choose, you can ask for group or private lessons and rent the equipment.